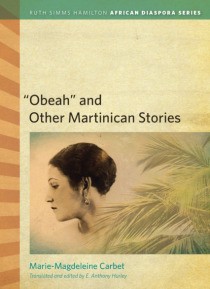 This volume comprises French versions and English translations of seven short stories written by Marie-Magdeleine Carbet, Martinique's most prolific woman writer. Four of these stories are previously unpublished, culled from documents obtained from Carbet's niece. While analyses of the literature of the French Caribbean have tended to portray these people typically as suffering from pathologies of… colonial oppression, the situations and reflections presented in these stories offer different perspectives on the lives and concerns of ordinary Martinicans and thus provide insight into some of the missing links of the sociocultural scene. This unique, multifaceted text fills an important pedagogical and scholarly need, and allows the reader to access the daily lives of French Caribbeans in a significantly authentic way.